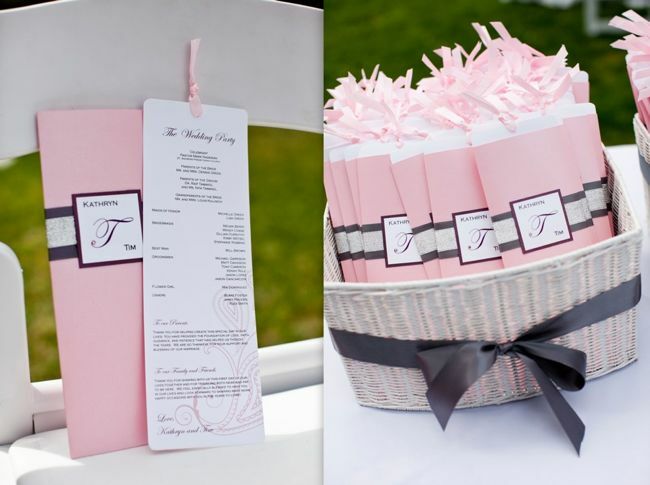 Your wedding program is probably not on the top of your priority list. So here are some things to be sure to include! Clients often ask me if they have to even do a program for the ceremony, and I always encourage them to do so. It is so nice for guests to be able to follow along with ceremony and see the readings, songs as well as other important information such as readers, family members and bridal party members. It is also great to provide a program for a Catholic Mass or Jewish ceremony in cases guests are not familiar with the traditions or structure. Optional, and oh so nice!